This was written in 1948, and he does not use the word "holocaust". Nor was he president at the time. What would motivate him to say these words, given the fact that it was the Soviets who faked 'evidence' to support the 'holocaust'? Spatton wrote: What exactly is your point? He doesn't mention a single example of this evidence and he doesn't explain what he means with brutality, maybe he came across some typhus victims? Also, what "death" camps did he visit, considering that all the official ones are in soviet occupied territory? The camp would have most likely have been the Ohrdruf concentration camp. But my larger question remains, what motivated him to say this and create evidence for something he almost certainly knew was false? He could be talking about a lot of things, he doesnt mention "death camps", "gas chambers" etc. He's talking about Ohrdruff, and also Buchenwald. As head of SHAEF during WWII, he knows his own Psych Warfare Unit staged an atrocity hoax operation at Buchenwald and a propaganda show at Ohrdruff. He not only o.k'd the operation, but actively participated by being in the Ohdruf footage and personally inviting influential people to Buchenwald where he knew they would be lied to. People think that the Soviets invented the holocaust, or that Jewish groups masterminded the holocaust. They did. But as big of an origin of the holocaust myth is Dwight D. Eisenhower himself through SHAEF Psych Warfare. Putting the good vs. evil spin on WWII with the help of the holocaust myth, helped him get elected president. I cover a lot of this in my video Buchenwald: A Dumb Dumb Portrayal of Evil. Carto's Cutlass Supreme wrote: I cover a lot of this in my video Buchenwald: A Dumb Dumb Portrayal of Evil. Excellent work, thank you for this. The full video can be found here. Carto's Cutlass Supreme wrote: He's talking about Ohrdruff, and also Buchenwald. As head of SHAEF during WWII, he knows his own Psych Warfare Unit staged an atrocity hoax operation at Buchenwald and a propaganda show at Ohrdruff. He not only o.k'd the operation, but actively participated by being in the Ohdruf footage and personally inviting influential people to Buchenwald where he knew they would be lied to. People think that the Soviets invented the holocaust, or that Jewish groups masterminded the holocaust. They did. But as big of an origin of the holocaust myth is Dwight D. Eisenhower himself through SHAEF Psych Warfare. He'd know I presume. And play along. 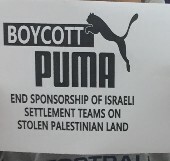 Inviting all kinds of journalists to the (prepped) camps would be part of a PR campaign. The question is why. They Allies had to justify WW2 and also silence any criticism in getting involved or investigation in causes in the first place. The Americans had Pearl Harbor as a pretext, but why did the Japanese attack Hawaii in the first place. The Germans and other Axis countries declared war on the US after that incident. But Hitler stipulates a number of reasons in his speech relating to that declaration. Admiral Stark intended to carry out this order literally, and any Co'-mander who sank a U-boat would have his action approved. Everything was to be done to force an "incident". This would put the enemy in the dilemma that either he could attack the convoys . in which case his U—boats would be attacked by American Naval forces, or, if he refrained from attack, this would be tantamount to giving us victory in the Battle of the Atlantic. It might suit us, in six or eight weeks' time, to provoke Hitler by taunting him with this difficult choice. The Prime Minister said that he had thought it right to give the President a warning. He had told him that he would not answer for the consequences if Russia was compelled to sue for peace and, say, by the Spring of next year, hope died in Britain that the United States were coming into the war. The President had taken this very well, and liaJ made it clear that he would look for an "incident” which would justify him in opening hostilities . Dealing with supplies for Russia, the Prime Minister said that we might have to make some sacrifices, but this would be well worth while so long as the Russian front remained in being. Britain ostensibly went to war ostensibly as an obligation to Poland. They got France with them and there is also indication they tried to lure the Germans into Scandinavia as well as the lowlands. But that is more a discussion for the other subforum. 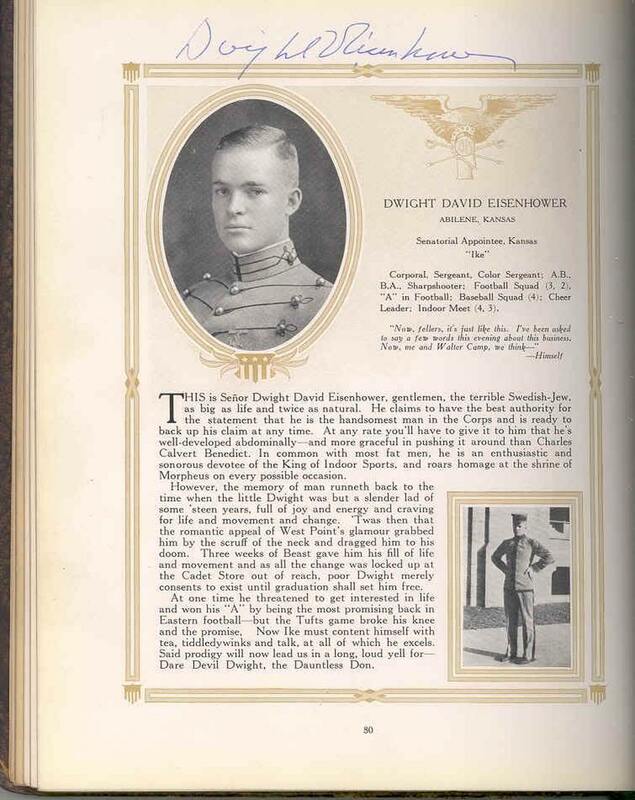 And how to explain Eisenhower's nickname "the terrible Swedish Jew" in his West Point yearbook? Daniel wrote: And how to explain Eisenhower's nickname "the terrible Swedish Jew" in his West Point yearbook? Hardly complimentary, the nickname is interesting, as is the reference to all the change being locked up.